Ancient Forerunner warriors, the Didact’s children, war machines of vast power, these all describe the War Sphinxes. 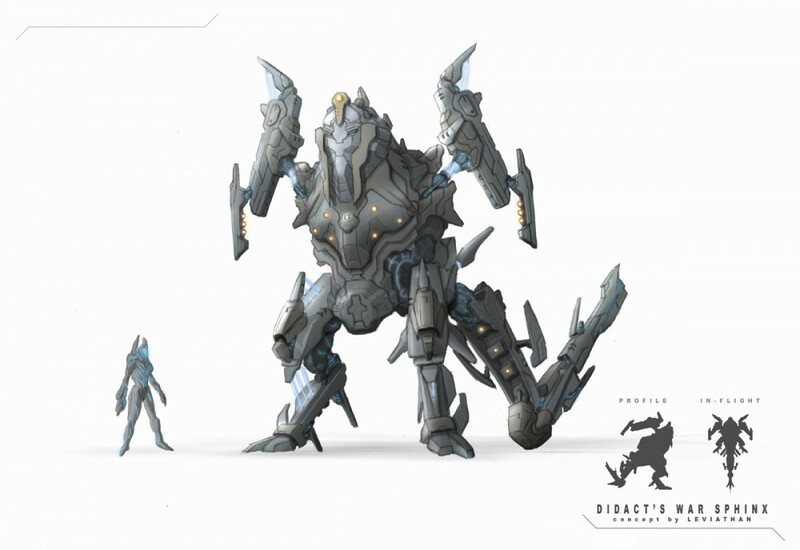 Used by Forerunner Warrior-Servants, including the Didact’s children, war sphinxes were mid-sized fighting suits that were operated by a single pilot. These versatile vehicles worked well in space, in the air, or on the surface of a planet. War sphinxes were used as fighters to overwhelm enemy ships, as escorts for capital ships, and they were deployed to the surface of planets to conduct operations of immense scale. Each vehicle has the capability to level an entire city single handedly. The suits also had arms and legs which allowed them to conduct ground operations in a bipedal form. A war sphinx was ten meters high and twenty meters long; it had a long tail that was used for propulsion and lift. From there, a torso extended out with a command cabin on top where a head would be. The cabin was made to resemble a Forerunner face with either angry or stern expressions. The cabin also had two view ports that served as the eyes of the face. 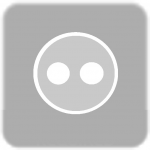 The joints of the suit where the limbs extended from were composed of hardlight. Two war sphinxes could combine with one another to form a much larger unit. The pilots of war sphinxes had their mental patterns synchronized with the suit, making it possible to preserve some of the pilot’s personality in case of death in battle, which allowed their commanders to study it afterward. Even though this was not as effective as a Durance, the personalities contained within the war sphinx could still provide useful information. War sphinxes were widely used by Warrior-Servants during the Human-Forerunner War. They were used at the battle of the human capital Charum Hakkor, in which they were sent in cloud like formations to overwhelm human ships, causing some to crash into Precursor star roads. When the Didact was exiled for the first time, he used twelve war sphinxes with the essence of their pilots, the Didact’s children, to guard his Cryptum in the Djamonkin Crater. By the time Bornstellar Makes Eternal Lasting arrived at the crater, the war sphinxes were considered out of date. They continued to serve the Didact though, after his first exile ended, performing missions for him. When the Didact and Master Builder Faber fought each other, the Master Builder’s much more advanced Seekers over powered the Didact’s ancient war sphinxes greatly and destroyed them. War sphinxes would later be use during the Flood-Forerunner War and were integrated with the Master Builder’s forces on Installation 07. 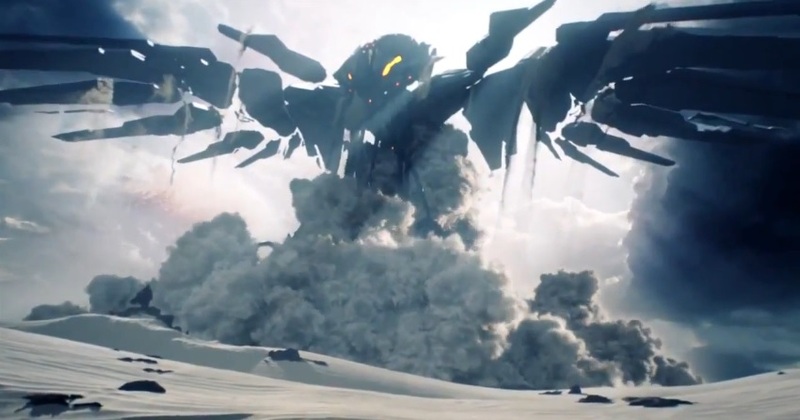 We can speculate that the Forerunner machine seen in the Halo 5 teaser could be a war sphinx. The machine in the teaser is much larger than the description of war sphinx, so it could also be the Master Builder’s Seeker.